Size: 646 sq.ft. - 1606 sq.ft. 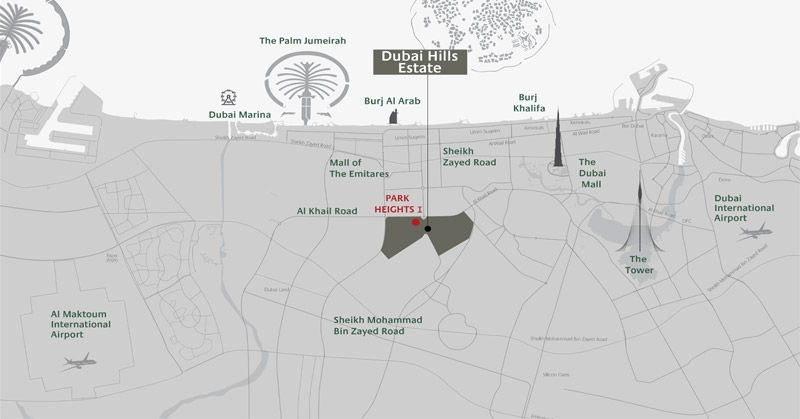 Emaar is pleased to offer new residential property "Park Heights" at Dubai Hills Estate. Park Heights project consist of Phase 1 and Phase 2 surrounded by the plush ambiance and is a joint venture between Meraas Holdings & Emaar Properties. The Dubai Hills Estate is being more attractive with small hillocks, water bodies, lagoons, green gardens and many other serene establishments.The towers are well designed to offer every luxury and leisure including the private pool, garden and parking space. This community has the maximum greenery around and is built over 11 million square meter land. 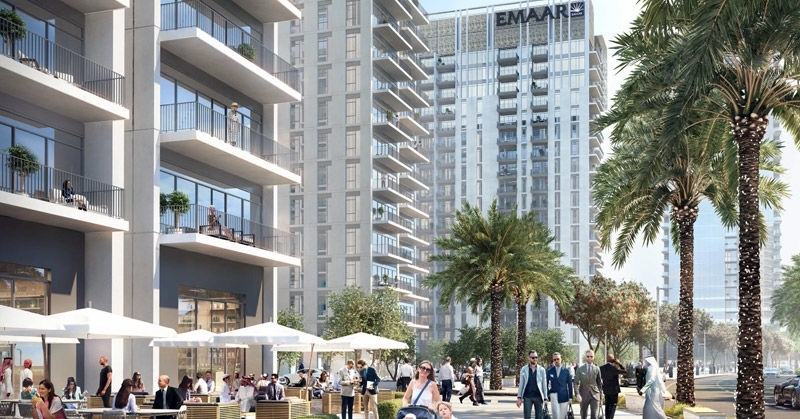 Park Heights Tower 1 is a latest apartment complex by Emaar with Meraas Holdings. 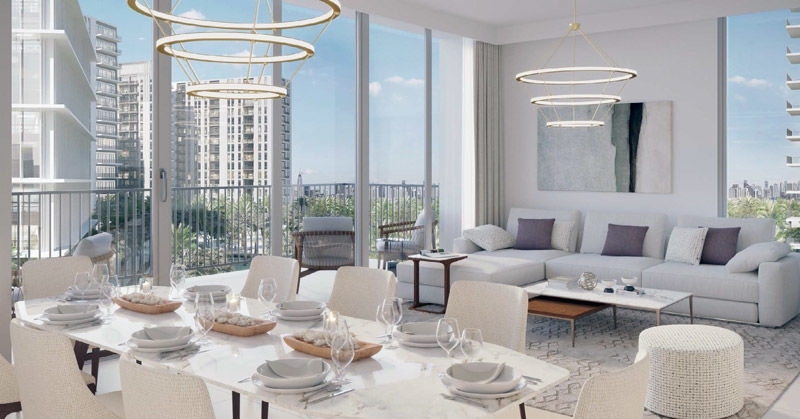 It is an 18-storey tower offering 1, 2 and 3 bedroom apartments in its Dubai Hills Master Development.Park Heights II is the second phase of the residential apartment project located in the same exclusive community. It is packed with high-end residential properties with the same configurations as phase 1 has. Phase-II premium residences also offer 1 BR, 2 BR& 3-BR apartments with stunning views of Burj Khalifa and Downtown Dubai.The apartments at Emaar Park Heights are designed to offer an unlimited space for a lavish living, stunning views of Golf course and Central Park. Emaar Properties is known as one of the world’s most renowned real estate developers for changing the face of Dubai. The company also has a diversified real estate development portfolio extending across hospitality & leisure, shopping malls & retail. 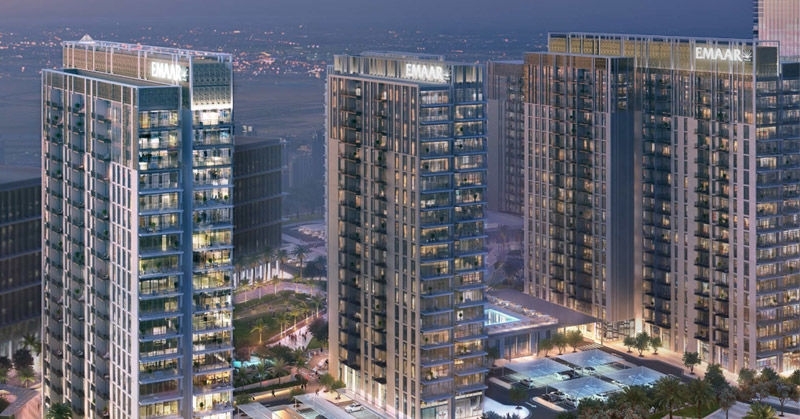 Emaar has set an impressive track-record in developing and delivering world-class homes in the UAE. It is the master developer of Downtown Dubai among others developer. Emaar has gained popularity not only in the United Arab Emirates (UAE) but also in different parts of the world. The developer is also known for its high quality residences and office spaces located in its key master developments. Park Heights project has options of luxury &affordable 1 to 3 Bedroom units that offer panoramic views of the downtown skyline and the lush gardens of Dubai Hills Estate Park.This community is constructed to make the most enjoyable place in Dubai.It is the only residential apartment, townhouse and villa district.It has a direct access to the main boulevard also host a bunch of cafes.The project is nestled within walking distance from the location of choice, metro access, world class school facilities, medical facilities. 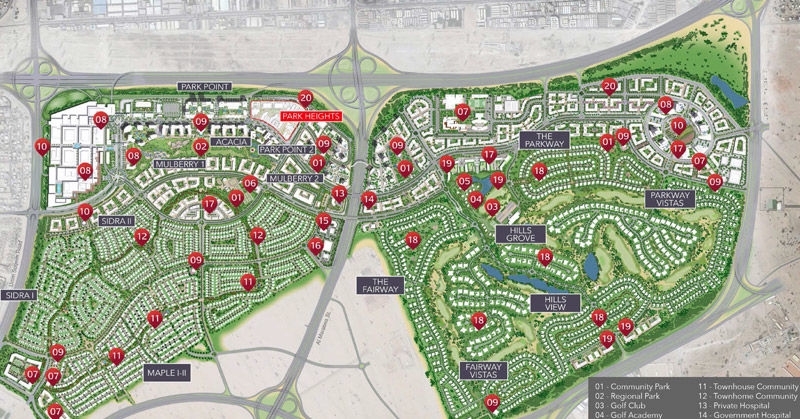 Everything here is within reach7 mins walk to the mall, and 5 mins to the central park within the area, 10 minutes away from the upcoming Dubai Hills Estate mall, overlooking landscaped parks and offering world-class features. 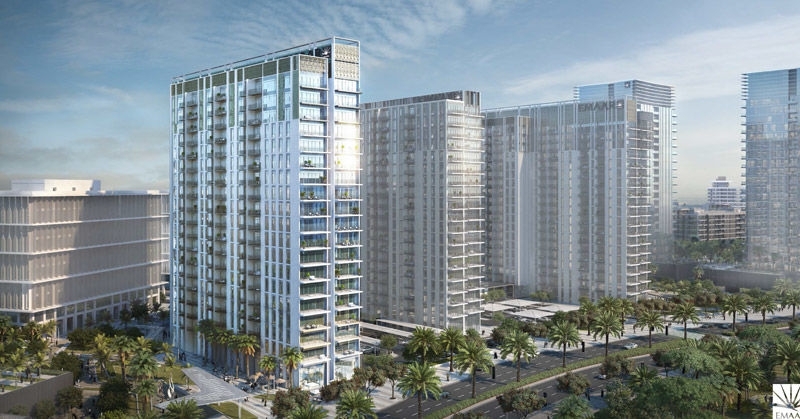 Park Heights Towers are positioned in Mohammed Bin Rashid City (MBR City)at Dubai Hills Estate community, Dubai, UAE. Park Heights I & II towers provides a great array of amenities such as retail outlets, restaurants, multipurpose room, outdoor infinity edge pool, kids’ pool, kids’ play area and indoor gymnasium. The beautiful community of Dubai Hills Estate features a mall, Community Park, golf course, as well as schools, nurseries and many more.